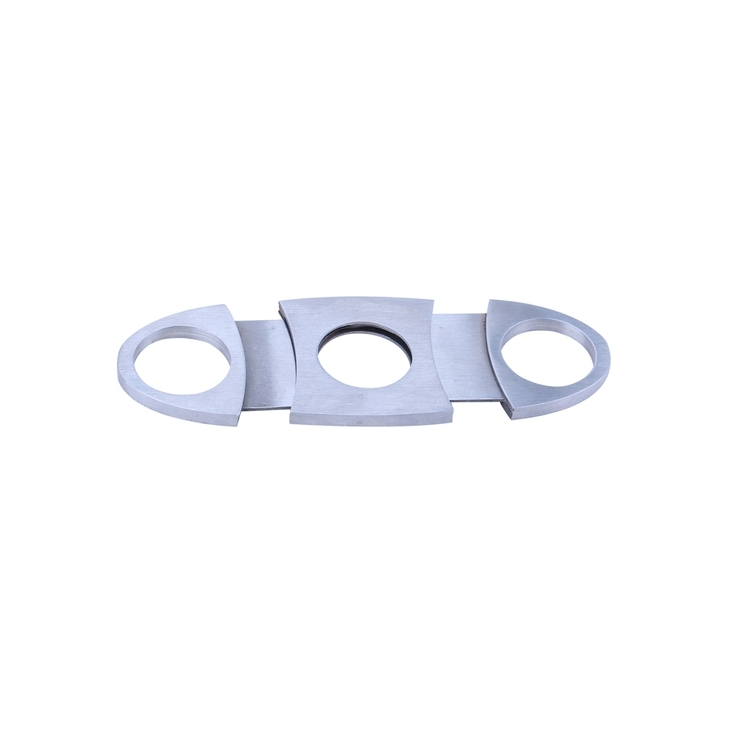 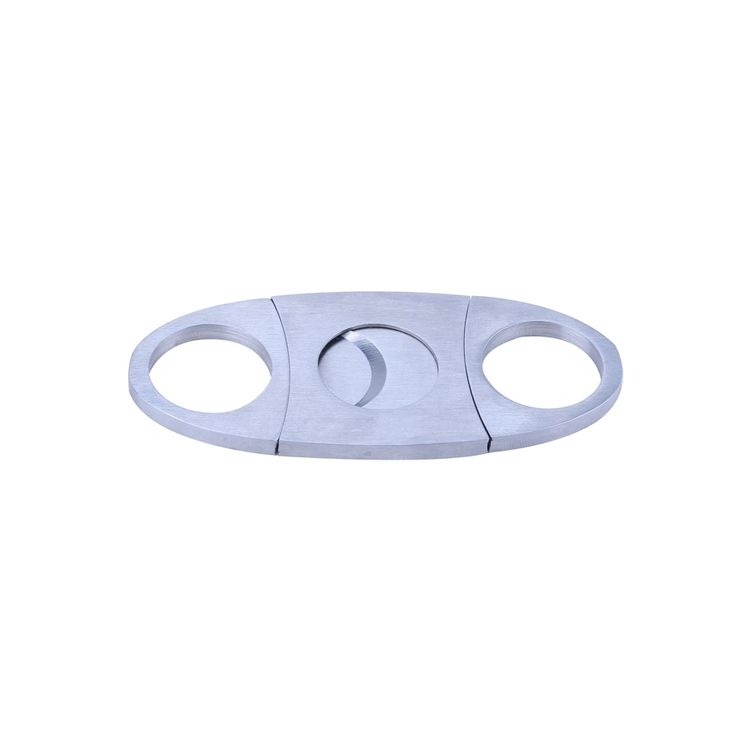 This cigar cutter is made of 100% stainless steel.It has heavy and good hand feelings.Double stainless steel blade. 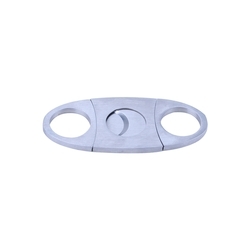 Laser engraved logo is welcomed. 3.54" x 1.57" x 0.16"